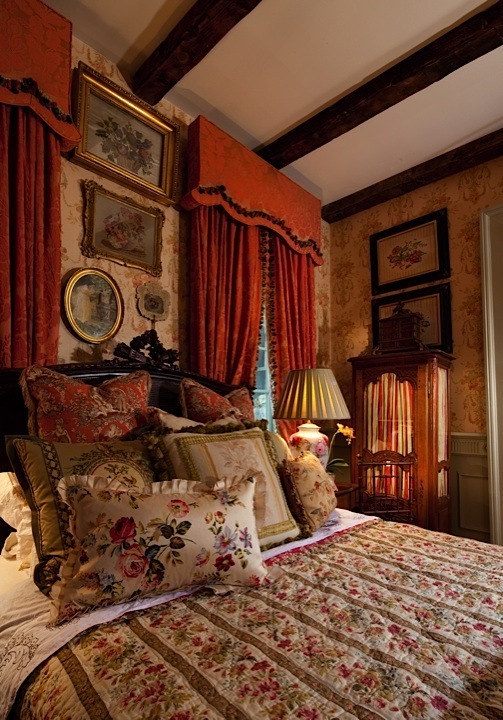 elcome to the guest room off the entry hall, nicknamed by Bill ‘the grandmother’s room.’ He added comfort and beauty to every detail of this abundant room. Beloved matriarchs figure prominently in many southern families and appointing their rooms is a high priority. 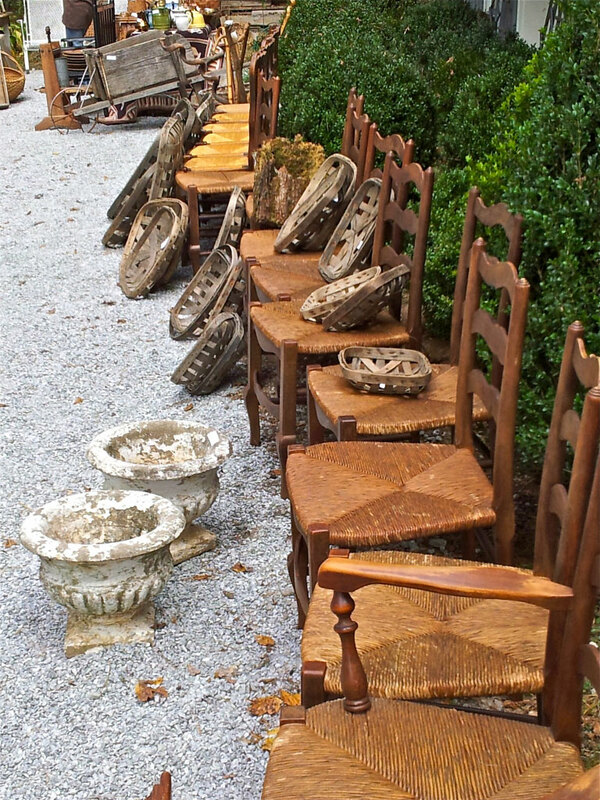 French antiques fill every nook and cranny of this fairytale. The use of pattern on pattern and the layering of rugs illustrates Bill’s extraordinary design aesthetic. There is a chair for every purpose and a pillow to add comfort to any spot in the room. The fireplace across from the bed is lined with antique tiles and is the ultimate in elegance and comfort for any bedroom. 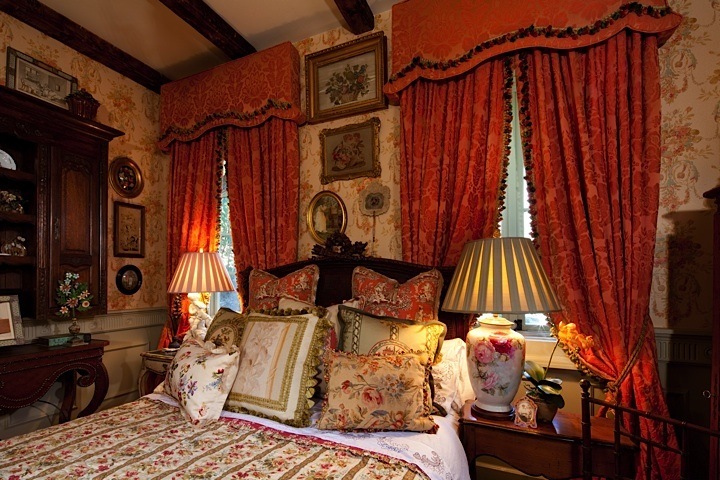 Just off the entry hall is this enchanting guest room welcoming visitors in style. A closer look at the comfy bed and draperies–love all of the patterns used in the room. Details, details, details–this room is a Master of them. 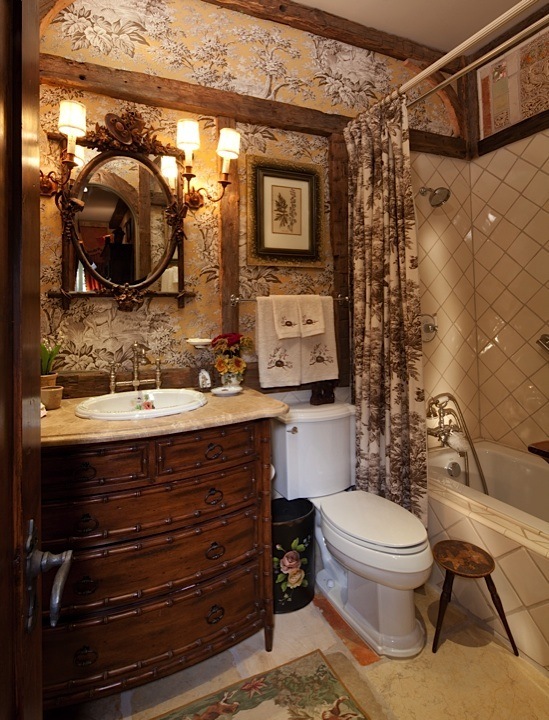 Antique tiles surround the fireplace–guests may never leave this room. Timbers line the walls of the guest bathroom–the wall paper was added after the timbers were installed. More on the amazing home in the next post. 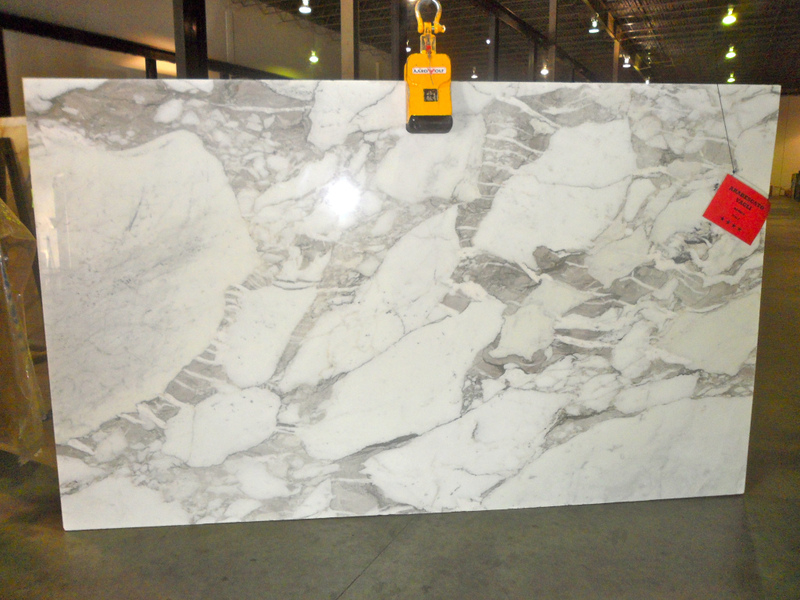 Will it be the dining room or the living room? If you missed the entry hall, please check the previous post.